“The Deal”: that was built on nothing but Lies. 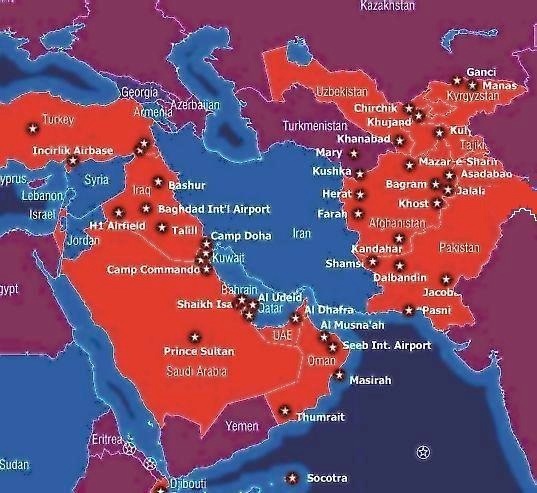 To augment the forty-four US military bases that surround Iran. While the wrangling continues over the illegal sanctions that have been in place for something like 30 years. The most glaring physical fact of these “negotiations” has always been the ever growing number of US and NATO military bases that have now totally surrounded Iran. This is the little brother of what NATO and the EU would love to see happen to Russia today as well. It’s fascinating that even with this military monstrosity, the Wounded and dying West is still demanding more sanctions against Iran ­ despite the fact that Iran has not attacked any other nation in over 300 years. A short glance at the past clarifies who is at fault in the current dispute and what needs to happen if the world is to get past this quagmire and move ahead into a world that can still read and understand the truth about how the world came to be at this seeming impasse. The American puppet, the Shah of Iran, then ruled illegally for 27 years until he was overthrown in 1953, which has colored American-Iranian relations ever since. With the takeover of the US Embassy, in Tehran, which ended with the blackmail engineered by George H.W. Bush, to “elect” Reagan to Office: A whole new chapter in American-Iranian affairs began under what has become the problem that it still is. This is also the reason for the forty-four military bases that surround Iran today (see the map above). In between the original overthrow of the democratically elected Mossadegh, and the current leadership of Iran, the US paid Saddam to wage an eight year long war upon Iran that cost Iran in Iranian lives and treasure heavily. That was the third war against Iran waged by the West, who used Saddam to avoid direct American Involvement. All of that “war-history” was carried out against Iran and yet that nation is still standing, unbowed, to the criminal powers of Israel and USI ­ yet still the West insists that it is Iran who is trying to dominate the world? So when Iran maintains that all of these illegal sanctions must be simultaneously lifted, if any “DEAL” IS TO HAVE ANY REAL CREDIBILITY, that hardly seems extreme; given the glaring track record of lies, duplicity and hypocrisy with which the West has treated Iran for over thirty years. It would seem that if any “nations” need to have SANCTIONS leveled against them that would have to be USI-ISRAHELL. Iran and Russia need to stick to their principles of independence from the criminal demands of the still-traitorous US Congress, that has currently turned against the people of the United States and the world, while they seek to force their insanity upon the planet, because they want to keep their war machine’s going, regardless of the costs. If the US Congress wants to declare war so badly then this effort must be led by Cotton, McCain, and all the other traitors to America who are the same creatures that defended Weapons of Mass Destruction, that did not exist in Iraq, but which they still defend to this day. Let them “LEAD the WAR Party” on the ground with their military-incompetence and their cowardice so that they can be slaughtered first and thereby spare the planet any more of their megalomaniacal schemes in any future conflicts. 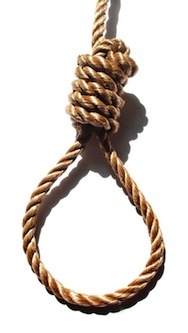 It’s interesting that Iran is doing this to some of the bankers that were found guilty of blatant crimes. Is this also why ‘they’ are so determined to undermine Iran? USSA has more lawyers’ per-capita than any other country on earth which is probably why the USI is the most criminal nation to ever claim “leadership” of the fake-free-world that has become the most lawless place to ever claim that title. Just try and listen to the spokespeople for the USI - then try not to vomit! Iran has already done what the US public can only dream about ­ and still hasn’t found the guts to do - even now!